Well it is a week before Christmas and all through the house not a decoration is put up or a present bought. Well I guess that isn’t completely true there are a few presents that have been purchased. 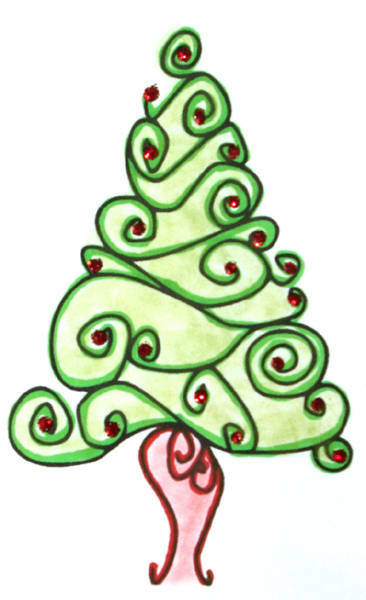 This year is my first Christmas since the deaths of my mom and grannie; and I am I not looking forward to it. Even as an adult who relocated from my Midwest hometown, I have only missed a few times celebrating this holiday with my mom. I must admit being an only child, I racked up on Christmas gifts most years. Growing up with three sets (divorce, remarriage, etc.) of grandparents was wonderful. However, there were some lean times when Christmas was made even more special by my mom’s ingenuity. My favorite childhood Christmas memory centers around the year when my mom started a new job and my dad was in between jobs. Money was tight and I actually didn’t expect to get much that year. I was about 10 years old and understood the reality of late utility bill notices, so I just wanted to have electricity and food. We put up the Christmas tree as we did every year and it stood decorated with heirloom ornaments. Gold silky wrapped Christmas balls with beautiful sugary looking icicles and lots of tensile hung on our artificial pine tree. There were never presents placed under the tree until late Christmas Eve after I went to sleep, maybe that is why I still believe in the magic of Santa Claus. So this particular year going to bed without presents under the tree seemed normal. Christmas morning, I remember waking up to the scents of breakfast that included potato pancakes, sausage links, and fried apples. I put on my robe and shuffled out of my room and to my amazement saw Christmas presents under the tree. I don’t know what I was more excited about, my dad’s big breakfast or the unexpected Christmas presents. 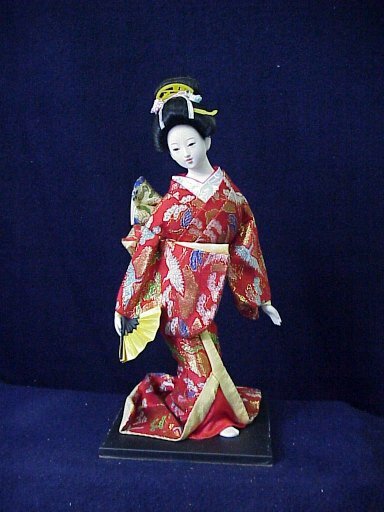 That particular Christmas, I received the most beautiful oriental dolls they were in part made of cloth and were adorned with beautiful silk robes. There was also a little leather pouch etched with Chinese characters on it. My mother looked anxiously as I opened everything and I gave her a big hug. It was an amazing unexpected and magical Christmas one of my favorite childhood memories. My mother later told me that she wasn’t sure there would be any presents that Christmas but she happened upon an oriental store that was going out of business. I had been collecting figurine dolls for a few years and she decided that the oriental dolls would be a good addition to the collection, she was correct. With only a little money my mom brought Christmas magic to our home. There was a similar time when she would take an orange and insert whole cloves in the skin to scent our whole apartment. I had many Christmases that involved the “it” toy of the time but the memories that stand out are the ones that involved creativity and lots of love. This Christmas season, I am thinking of the many families who don’t have anything but the clothes on their backs. Across this country there are families sleeping in cars; prayerfully who will come across a free meal on Christmas day. Each year, I try to give a little money to my local food bank, I can’t reach everyone in need but at least I can help some. As I said earlier this Christmas will be a little sad this year, there is no new angel to buy for my mom and no surprise treat to get for my grannie. However, I will attend Midnight Mass with my husband remembering that Jesus is the reason for this season; and carrying the love my mom poured into me in big and small ways. Joyce – Thank you for so eloquently expressing how so many of us are feeling this holiday season.